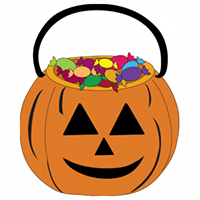 Halloween may be over but if you are like many parents there is still a sizable bag of candy floating around your house. So what do you do with all that candy? Part of being a kid is getting candy at Halloween. Yes – That is coming from the Pediatric dentist! Truth is candy does not cause cavities nearly as much as constant soda, juice and milk consumption. However, it is still not a great thing to have gobs of candy in the house. At our house we make it memorable and safe for the teeth. The kids are allowed to have one or maybe two binges on the bag on chocolate only. All hard candy and suckers get one lick and then go into the trash. 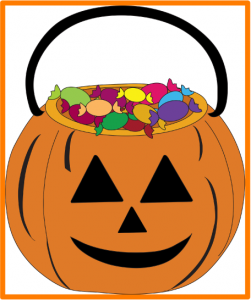 The worst thing you can do is string out the candy and let your child eat some every day for weeks. A once and over is much better for the teeth. Of course another good rule is that after the binge mom or dad brushes the teeth…and brushes…and brushes. Commit today to loosing that bag of candy – or sneaking what is left into your own sock drawer.